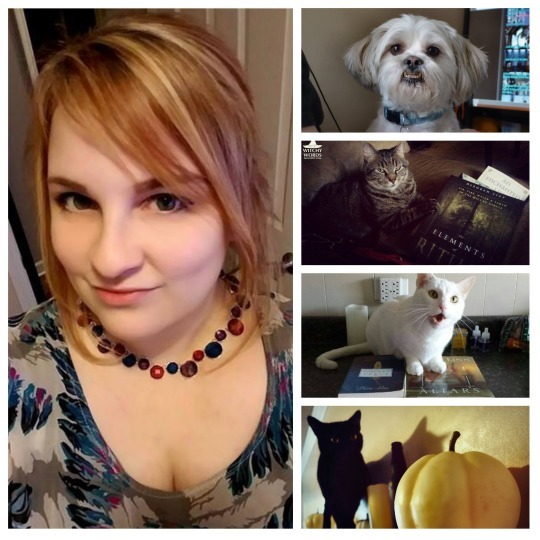 Hi, my name is Marietta and I’m the writer behind WitchyWords.com. I live just outside of Kansas City, Missouri (USA) with my husband and four familiars. I’m the Circle Coordinator for Circle of Fountains and the volunteer photographer for our local witchcraft and pagan community. I do everything I do out of respect and gratitude for my path, which has given my life meaning and direction. If you would like to send me something on my list, you can either message me, send me an ask for my address (please don’t anon), or you can use this handy Amazon wishlist which should send it directly to my door without needing to ask. In advance, I am totally fine with used versus new. Creases and highlights don’t bother me. If you have something lying around that matches my wishlist and you don’t want it anymore, I’d happily take it. Find the books on my Amazon wishlist by clicking here. Ethically and legally collected bones, teeth, claws, furs, feathers and barbs. If it’s dead and preserved, I like it. This is an odd post, Marietta. Can we all post our gift lists here? Apologies! I finally noticed the tiny link at the top, which led me to an explanation of the post. It really sounded like you were just throwing out your "I wants" to your subscribers. LOL Maybe you should make that link a little bigger...? I've made it as big as I can make it without it being larger than the title text. I apologize for the confusion.